"Complete business solutions for Software"
Cab/Taxi booking is a booming business. SRDV Technologies provide this project with the vision to provide niche cab booking services, which will help users to book cabs easily. SRDV Technologies provide both web portal as well as mobile app for both android and iphone. 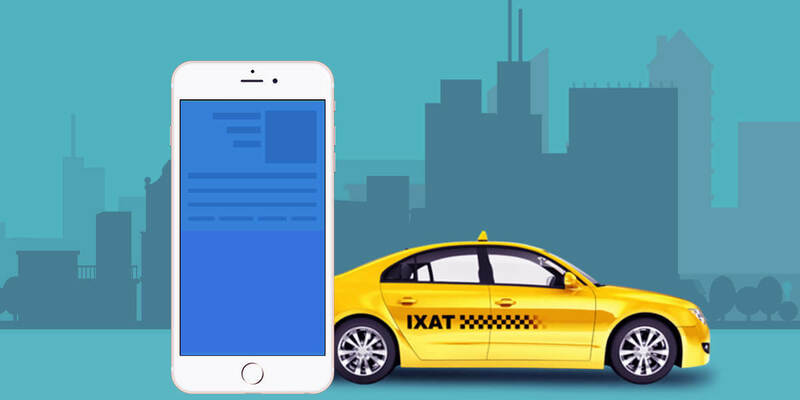 3-Step Online Booking:Now with our online booking system one can book their cab in simple three steps from anywhere anytime. Booking Confirmation: Get instant confirmation through SMS, Mail and Push Notification (app) once booking is confirmed. Choose Preferred Route: before you start ride, choose your preferred route through the application and the cab/taxi will follow it. Route Tracker: Relax even if you are new to the location. The automated route tracker will inform you if the cab goes out of track. Speedometer: Stay informed about the speed of your taxi at anytime along with the details of your travel like distance you travelled, remaining distance, metered fare and many more. Card Payment: Pay your bill by bank card. Don’t take the risk to carry cash or avoid the harassment of change. eReceipt: Get instant eReceipt through your mobile application. Also you can ask for a printed one through the Bluetooth printer of the taxi. Panic Button: If you are travelling through cab/taxi and faced any emergency situation like a physical exploitation, burglary, or it’s a medical situation, just tap the panic button placed on the top-right corner of the mobile application and your relatives, friends and police will be informed instantly through SMS and automated voice call. Ensure More bookings: Unlike manual booking system you can take unlimited number of bookings simultaneously through cab online booking system. Now no customer will get the irritating engage-tone in your telephone. Improve Customer Relationship: By offering prompt and professional services you can ensure a better care to your customers which will definitely improve your reputation in the market as well as relationship with your customers. Offer A Safe travel: Cab booking will help you to represent your business with an improved safety with the support of the feature like panic button, Route tracker, Card Payment and so on that will increase your trustworthiness and attract more customers. Reduce Overall Cost: Cab App will decrease requirement of your manpower and streamline the processes through its inbuilt feature and functionalities that will reduce overall cost of the company and automatically improve profitability. Keep full Record without Extra Effort: The software will keep full travel history of your passengers in its secure database that will help you to get clear image of the business graph for future use as well as work as a solid evidence in case of any legal issue.